Preserve the integrity of your important school notices! School administrators and teachers need a secure place to post the most important school notices. 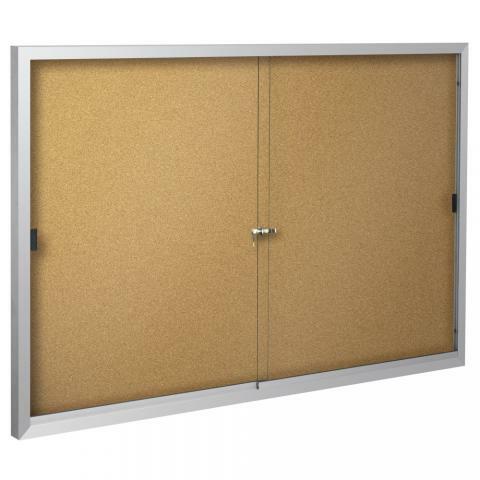 Whether the notices remind students about a school policy or announce a popular event, you can count on the Cork Board Display to protect the school's most valued information. 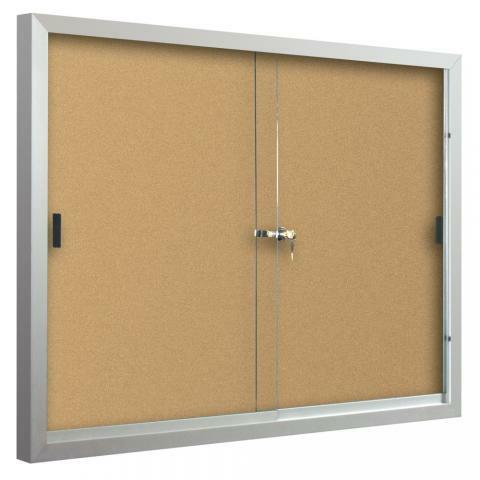 This board is constructed with highly resilient and recycled cork that withstands years of constant tack impressions. 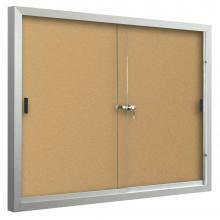 All-natural cork does not break free, as is the case with many other types of cork display boards. The Cork Board Display includes a two-inch deep case protected by shatter-proof tempered glass. The heavy-gauge anodized aluminum frame adds a touch of class, in addition to providing strong support for the glass display case. The case provides plenty of room to post multiple notices and announcements.